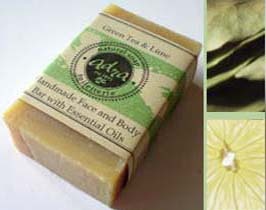 The Adra Family has been making soap in the French tradition since 1891. Since the very beginning, the Adra Family has fully understood the importance of selecting only the finest materials and tools available to handcraft our signature soaps. Our Savon de Marseille achieved Royal recognition and international acclaim for the Adra Family as true Maitres de Savon (Soap Masters). Our natural handmade soaps with essential oils moisturize and revitalize your skin, softening the outer layer while nurturing the skin’s inner structure. 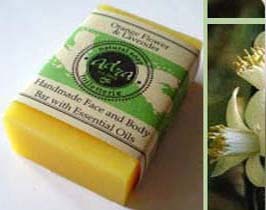 A calming bar that is excellent for deodorizing, and moisturizing all skin types. 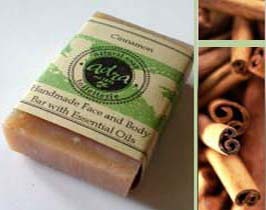 Our cinnamon bar develops a sense of warmth, which relaxes the skin. Organic Green Tea extract for anti-oxidants. 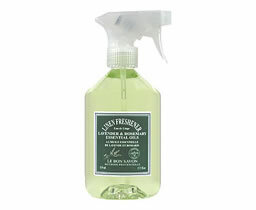 Three varieties of lime for a robust, refreshing scent. 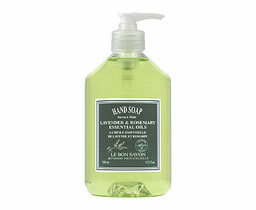 A classic French soap bar that serves as an excellent cleanser for all skin types. 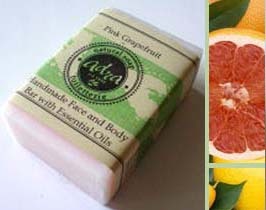 Cool and uplifting soap bar that stimulates the skin’s oil production. The name says it all – The Citrus from paradise. 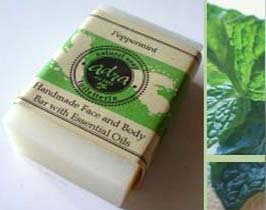 Vibrant, cheerful & purifying skin astringent. 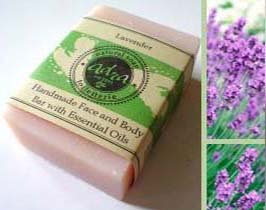 A classic French soap bar that combines both olive, and lavender oils to create a superb moisturizing agent for the skin. A maker of soap like other craftspeople , understands the importance of selecting high-grade materials and tools, and insuring that both work well with one another. The desired virtues of a material can be all but lost when treated improperly. 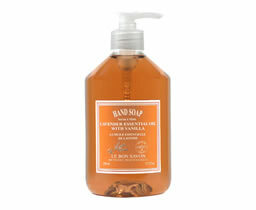 We begin with spring water, edible-grade palm oil and a small amount of edible-grade coconut oil. 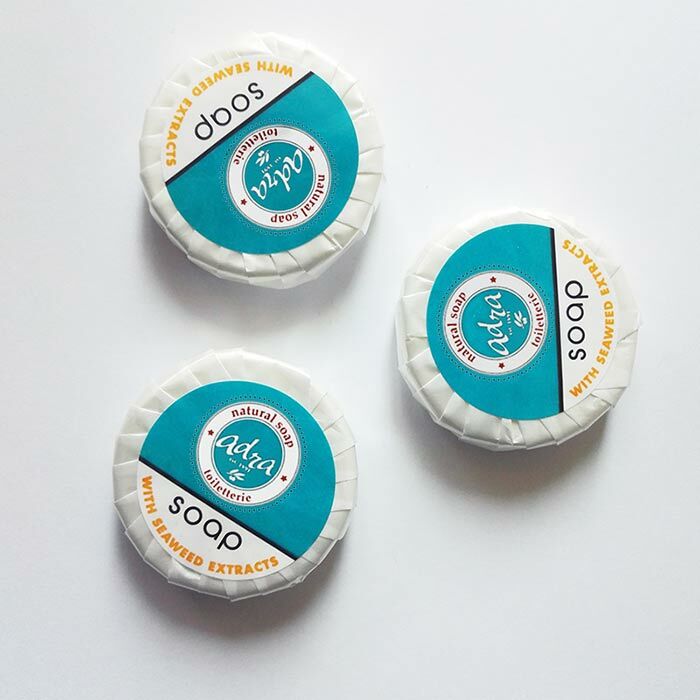 Our cold-pour processing method retains the valuable vitamins and minerals that would be otherwise lost in a conventional, machine-processed soap. 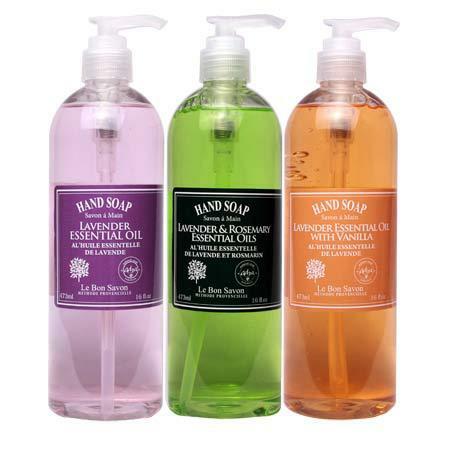 As the perfect complement, our soaps are scented with exquisite combinations of the finest plant-derived essential oils. The soap is then air-cured, resulting in an extremely long-lasting bar of soap. This lengthy, labor-intensive process utilizes no machines and no computers. Soap like ours is a rarity, and a joy to use. 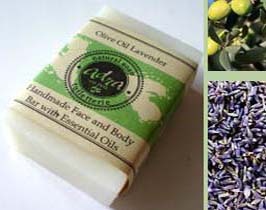 The remarkable benefits of lavender essential oil inspired us to create the Adra Liquid Spa Essentials line. 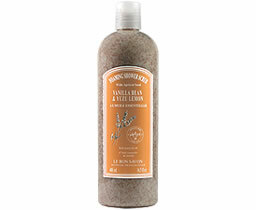 Our delicate Spa formula gently cleanses and moisturizes your body from head to toe. 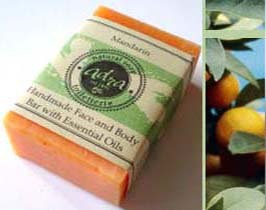 Not sure about the quality of our natural handmade soaps? No worries as we have got samples for you to try out.